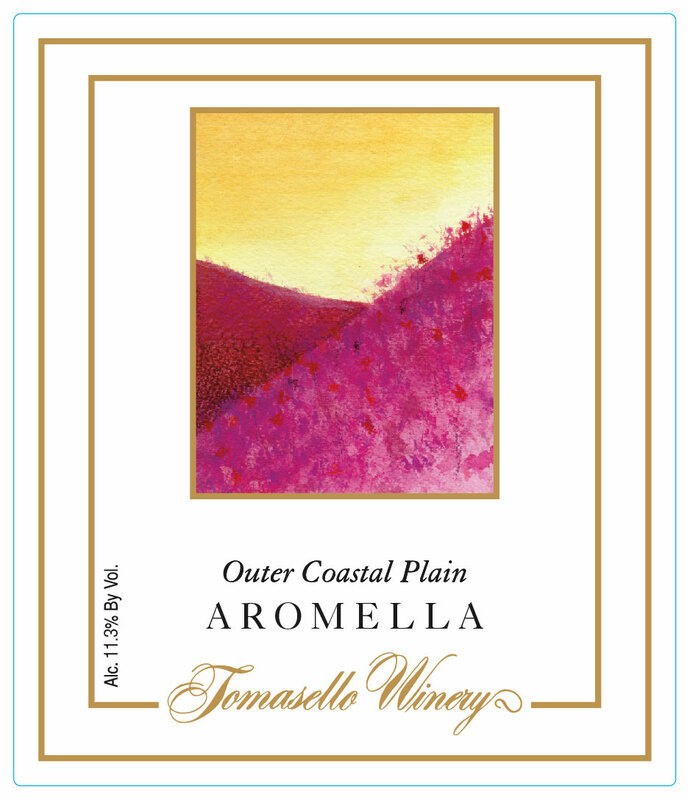 Planted in our Outer Coastal Plain Vineyards, Aromella is a new and exciting grape developed by researchers from Cornell University's agricultural experimental station in Geneva, NY. This grape whose parents are both hybrids, produces a wine with peach and tropical fruit aromas reminiscent of Moscato but not as sweet. Best served chilled. To view descriptions of our wines, please enter the State in which you live or wish to ship wines to first. This helps us to determine if we are able to direct ship to your State. If you are entering the Tomasello OnLine Wine and Gift Shop to purchase wines for direct delivery, by doing so you affirm that you are of the legal drinking age in the Country where this site is accessed. Please choose the "Ship-to" State below. If you are entering the Tomasello OnLine Wine and Gift Shop to purchase giftware, on-site function tickets, e-gift certificates, and/or other non-wine items, please choose the "Ship-To" State below to which we will be shipping/mailing your merchandise, tickets, e-certificates etc.